If your child has an interest in playing baseball / softball, Warren Baseball & Softball, Inc. (WBSI) has just what you need. Youth baseball / softball provides an exciting opportunity for your child to learn new skills, make new friends, be part of a team, learn sportsmanship, and above all, have fun.  Pigtails (K & 1st grade) softball registration … Pigtails is a coach-pitch league with coaches on the field during play to provide extra support and instruction. Players work on developing basic throwing, catching & hitting skills. Focus is on learning skills and building confidence rather than competition. What age must my child be to participate? How do I register my child for T-Ball? REGISTRATION OPENS DECEMBER 1st Registration for our 2019 rec leagues just opened and will stay open through February 28th. The Warren Baseball & Softball board spends the fall months leading up to the open of registration talking about ways we can continue to improve the youth baseball & softball experience for the kids of Warren twp and assessing field and equipment improvements.